Nov. 7 (NBD) – China's e-commerce giants JD.com, Alibaba, and Suning made respective announcements on Tuesday to buy large amounts of imported products by taking the first China International Import Expo (CIIE) trade fair as an opportunity. JD.com released the plan to purchase imported goods worth nearly 100 billion yuan (14.5 billion U.S. dollars) at a forum themed with "Rise of Digial, Consumption Trends and the Opportunity for Overseas Brands" during the CIIE. Alibaba announced the plan to import products valuing 200 billion U.S. dollars from more than 120 countries and regions in the following five years. Suning also made public its purchasing plan on products of overseas brands at the Global Purchasing and Supply Summit of Suning 2018. Suning is expected to sign purchasing contracts 15 billion euros (17 billion U.S. dollars) during the CIIE. Cao Lei, director of the China E-Commerce Research Center, told NBD the increasing demand for imports in China results from China's pursuit of trade liberalization and economic globalization. 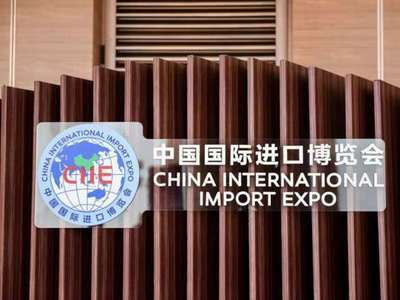 And, the CIIE will further stimulate the market vitality and advance the development of the cross-border e-commerce industry. The huge demand for imports also comes from the trend of consumption upgrading in China. Alvin Liu, general manager of import and export division of Tmall affiliated to Alibaba, said the goal of 200 billion U.S. dollars is determined via big data analysis based on the trend of consumption upgrading. In recent years, as many countries seek expansion in the Chinese market to grasp development opportunities and consumers' demand for global high-quality products increases, the cross-border e-commerce industry enjoys its prosperous days. According to a report on China's cross-border e-commerce released by the China E-Commerce Research Center, the first half of 2018 saw China's trade volume of cross-border e-commerce imports totaled 1.03 trillion yuan (149.1 billion U.S. dollars), a year-over-year rise of 19.4 percent. The metric is expected to amount to 1.9 trillion yuan (275.1 billion U.S. dollars) for the whole year of 2018. The report also shows as of the end of June this year, the number of frequent online cross-border shoppers in China stood at 75 million and is predicted to log 88 million by the end of 2018. Obviously, the cross-border e-commerce sector has been playing an increasingly important role, becoming a new growth pole of China's foreign trade. It is noticeable that President Xi Jinping stated on the CIIE opening ceremony that China will follow the trend of consumption upgrading, further lower tariffs, facilitate customs clearance, reduce institutional costs in import, and step up cross-border e-commerce and other new forms and models of business. This signal will not only facilitate general imports but also help perfect polices related with the import of cross-border e-commerce, so as to build confidence in the industry, commented Li Pengbo, partner of tech company Tomtop.